I have pretty long wavy/straight hair – and usually it takes quite a while for my hair to air dry. And recently I’ve been trying to lay off of the heat products just for the sake of keeping my hair from getting irrevocably damaged, plus curling/ironing my hair takes a lot more time than I have these days. So when Influenster sent me the Goody Quikstyle paddle brush I was really interested in trying a product that claimed it would not only dry my hair faster, but would also help me style it- without heat. Now I normally will roll and pin my hair in a bath towel after my shower in the hopes that it’ll absorb some of that moisture. 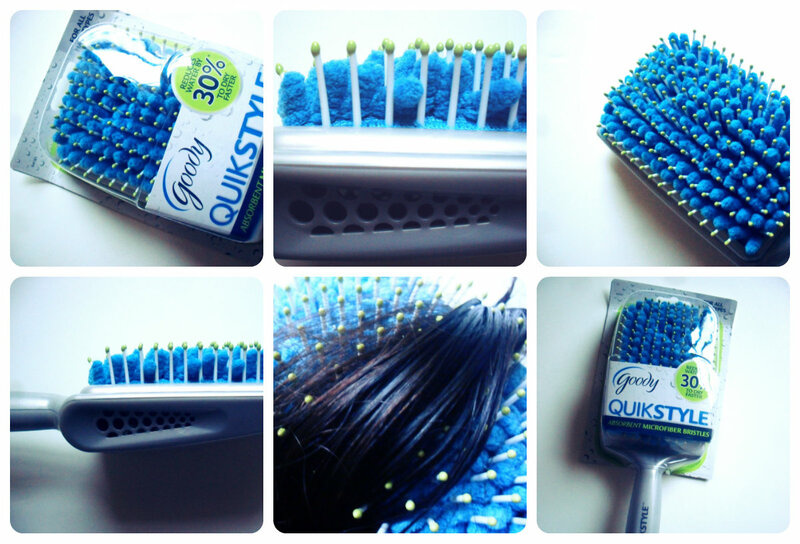 The starring feature for the Goody Quikstyle brush is that it has absorbent microfiber bristles that work to absorb about 30% of water in your hair – which makes for even faster styling! Not only to the microfiber bristles absorb some of that excess water, but they’re made with an antibacterial microfiber that keeps the brush clean – although you’ll also want to cleanse it regularly, and when you do make sure to tap the back of the brush to rejuvenate the bristles. I really enjoyed the design of the brush and found that despite it’s bulky appearance it was not only effective in soaking up water from my hair, and even significantly reducing frizz, but it also felt good in my hand. Turns out, this brush was designed to be lightweight, but effective (with rear-screen ventilation) – while avoiding hand fatigue. 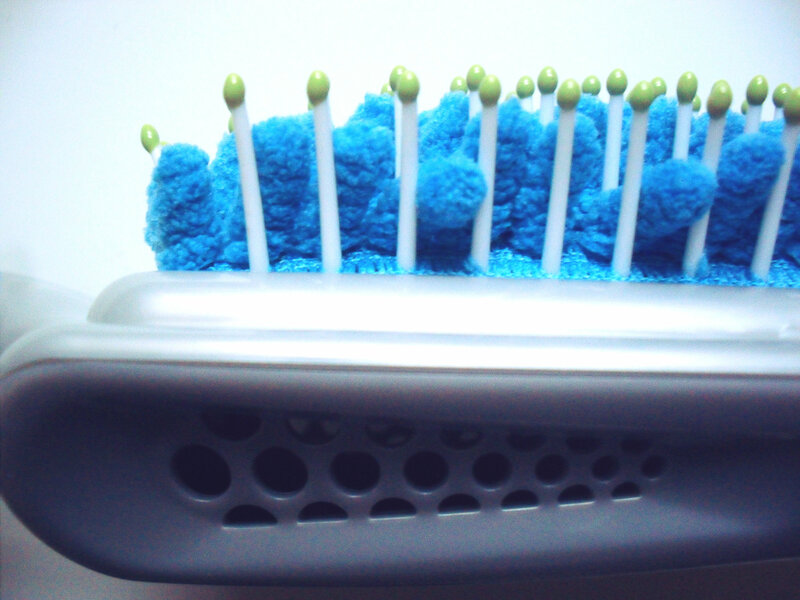 The bristles seemed flat after a couple uses, so to remove the hair I ran a fine tooth comb between the rows, which removed stray strands and then I rinsed the brush itself, turning it over and tapping the back until the bristles stood at attention again – it was like new! 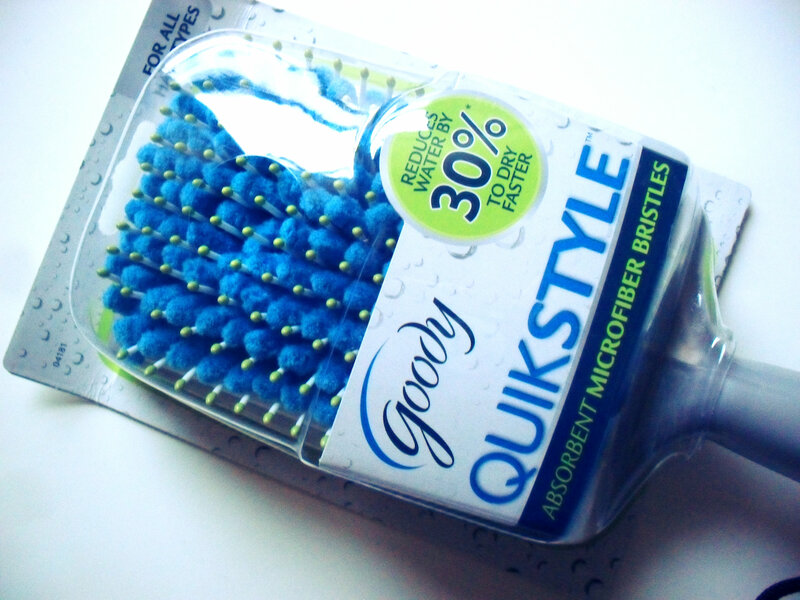 The Goody Quikstyle Brush comes in a paddle version – the one I tried, and a convex half-round shape. You can find out more about the brushes here, and if my review hasn’t convinced you that this brush is amazing then please feel free to check out what other Influensters had to say about the Quikstyle brush here! Thanks for reading, and if you have any questions at all about the brush and my experience with it then just drop me a comment below! Previous Post EBOOST, for natural, long-lasting energy!